Despite a prolonged power struggle, it seems that spring is finally beginning to win out over winter here in Michigan. 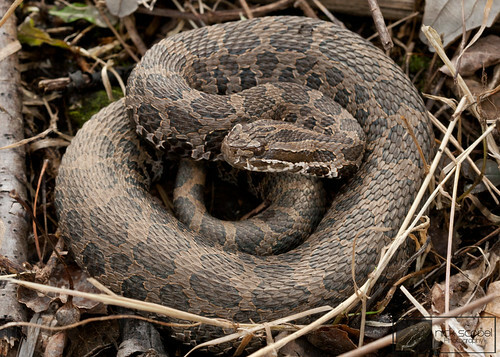 Vernal pools are thawing, frogs are calling, and some snakes are beginning to emerge to soak up their first sun rays of the season. This past weekend I was able to get out and search for some early spring herps and wasn't disappointed. On Friday night, I went out to search some vernal pools in southeast Michigan. I elected not to drive up to Macomb County to join Jason Folt and Chris Boguslawski due to lack of ideal conditions, plus because I was feeling a little lazy. They had fairly similar success, which you can read about on Jason's blog. I arrived to a mostly thawed pool which has produced tigers in the past, and quickly noticed my target swimming about near the edge and was able to apprehend it for a few photos. A handsome male, which was less than cooperative for photos (I had almost forgotten how little these guys like to sit still). I released him back to the pool and moved on. 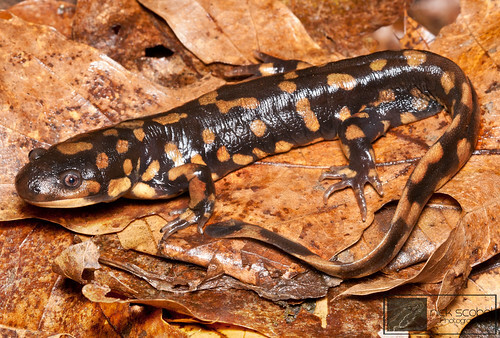 Light rain was falling and temps were in the high 30s, marginal conditions for salamander movement at best. But as I was driving through some rural land, I noticed a riggling shape in the road, it turned out to be my second tiger of the night. Shortly after photographing the second tiger, the precipitation turned from rain to sleet, and then to snow. 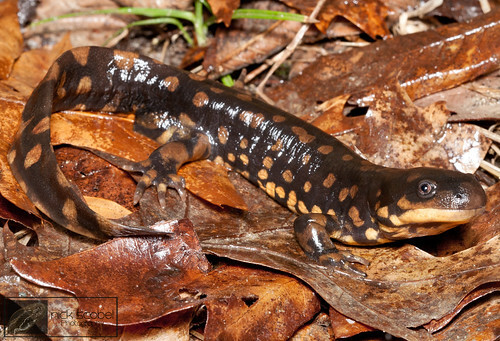 This brought a cold night of salamandering to an end, but I was decently happened with getting a few tigers. Temperatures for Saturday and Sunday were supposed to rise to the mid 50s, so Chris and I decided to spot hop on Sunday to look for snakes. 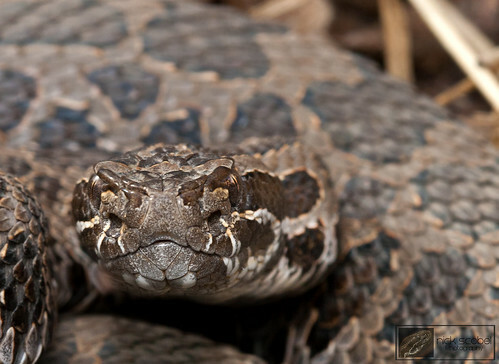 We began at a spot that I had seen a fairly interesting snake on Saturday. We saw a few garter snakes, but struck out on our target, so we moved on and headed out to some state land in hopes of seeing a blue racer. We flipped some boards and walked some nice habitat, but only turned up a few more garters and a nice little brown snake, much to Chris's joy. We ended up returning to our first location and gave it a last second try. We looked carefully in shrubby swamp and eventually I spotted the telltale pattern of our target serpent. I've always associated the onset of spring with the emergence of this species here in southeast Michigan. Though warm, sunny days in the 60s and 70s are considered to be ideal conditions for this species to emerge, I've found them in much colder temps early and late in the season. The rising water table due to snow melt and thawing seems to be the catalyst which gets these guys up in the spring because of their utilization of crayfish burrows as hibernacula. It was nice way to finish up the first weekend this year which actually felt like spring. Things should really get moving here in the next week or two, both on the herp and bird front. Until next time, happy spring!